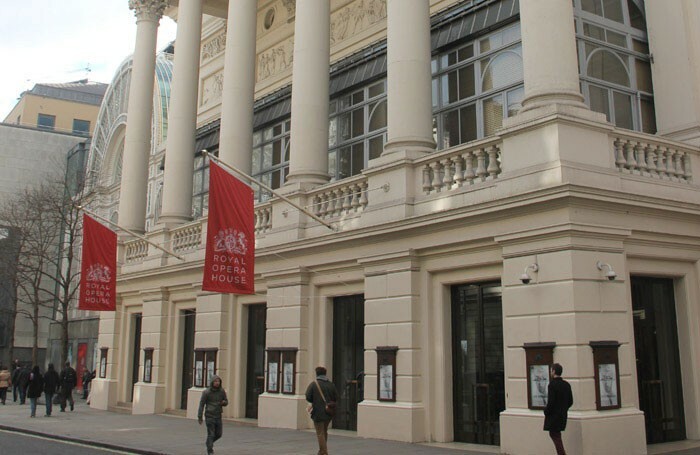 Record audience numbers and box office receipts boosted the Royal Opera House’s income by 12% to £125.7 million, its annual report reveals. The Covent Garden venue – home to the Royal Opera and Royal Ballet companies – saw its total audience swell to more than 1.5 million, with 774,000 theatregoers seeing productions in the main house, Linbury Studio and associated spaces, and a further 747,000 watching broadcasts in more than 400 cinemas around the world in the year to the end of August 2014. Double-digit increases in income from ticket sales – which grew 19% to £44.2 million – and fundraising (a 10% lift to £26.5 million) accounted for more than half (56%) of all earnings. Funding of £29 million from Arts Council England saw its contribution to overall income decreasing 1% to 23% of the total. Increased activity saw expenditure growing by more than 8% to £124.4 million, with spending on productions, education and outreach projects of £77.9 million enjoying a boost of just under 10%. The venue’s twin companies presented 26 new productions (11 of which were new commissions) during the year, with 543 performances playing to a near-capacity audience of 97%. Chief executive Alex Beard said the results demonstrated “significant progress” but warned of continuing pressures in “managing resources sustainably in a hugely challenging financial environment”.